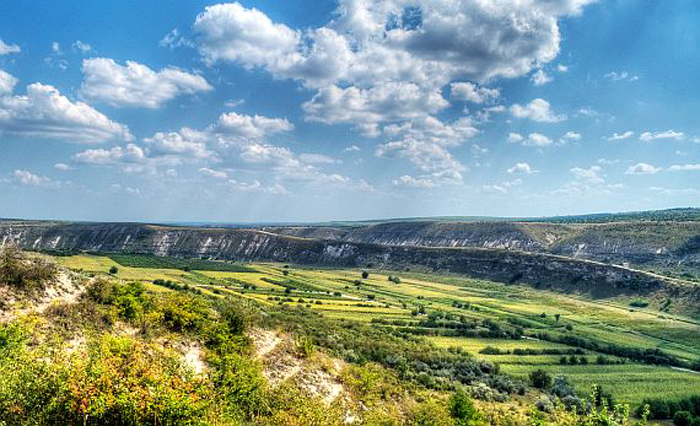 Due to its geographical position close to the Black Sea, the local climate in Moldova is mild and sunny, but precipitation levels can vary greatly from dry spells to heavy showers and thunderstorms. This climate characteristic causes a wide range of hydrometeorological hazards including floods, droughts, frost, and windstorms. In the past, these weather conditions have led to disasters such as the severe drought in 2007, which was the most serious over the past centuries, and the ensuing flood one year later. With the objective of improving forecasts, preventive measures, and disaster relief efforts, the Moldovan government decided to significantly expand the nationwide weather station network—a project funded by the World Bank. Following a rigorous tender process, the Moldovan State Hydrometeorological Service (SHS) engaged ADASA Sistemas, S.A., to build up this network. Their winning proposal was based on Campbell Scientific dataloggers, sensors, peripherals, and software, and their local presence offered a smooth implementation. The weather stations are installed at strategic locations to measure a wide range of parameters including air temperature, wind speed and direction, soil temperature and radiation, atmospheric pressure, and relative humidity, as well as the amount, duration, and intensity of precipitation. The network encompasses two different types of weather stations: 14 automated weather stations (AWSs) and 35 smaller mini automated weather stations. All weather stations are based on a Campbell Scientific CR1000 datalogger, which operates as a hub and is used for the collection, processing, storage, and transmission of the acquired readings. In the process, it was crucial that the Campbell Scientific dataloggers were able to read virtually every commercially available sensor, as the tender stipulated that all sensors are interchangeable and sensors from different manufacturers are applied within the network. The 14 AWSs are additionally equipped with a camera, which captures images every five minutes. These pictures can be viewed at the SHS website and contribute to an easier assessment of the prevailing weather conditions, which is vital during crisis situations. The pictures are also collected and processed automatically by the datalogger. The 14 AWSs are mainly powered from the 220 V power grid and feature an attached solar panel with backup battery in case of a power failure. However, the mini weather stations are powered autonomously via a solar panel with connected backup battery. The energy efficiency of Campbell Scientific equipment supports continued operation—even in the case of several consecutive foggy days. Each station is equipped with a CompactFlash memory card and a Campbell Scientific NL116 Ethernet Interface and Compact Flash Module. This combination ensures the highest data retention via data storage onsite and transmission to a central server. These devices are (together with the CR1000) designed for use in an extended temperature range to withstand even very exceptional weather conditions. The data transmission via RS-485 to the central server at the SHS headquarters is supported via LoggerNet and PC400. Both software packages are developed by Campbell Scientific, and they support, among other things, communication and data retrieval between the dataloggers and a PC. SHS provides its own software for the processing and visualization of the observation data, as well as of the equipment status. Campbell Scientific facilitated an easy interface between those solutions. This automated weather station network is part of the disaster risk mitigation program of the Republic of Moldova. The acquired data will improve the forecast quality markedly by reducing the impacts of hydrometeorological hazards and strengthening the agriculture sector. Through this program, Moldovan farmers are able to reduce the amount of damaged crops and losses at harvest, which results in a more sustainable food supply and better economic growth.